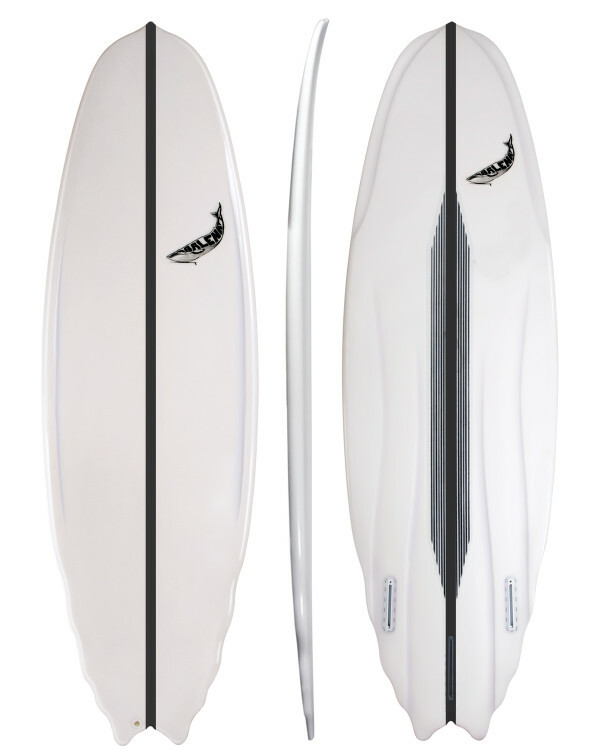 Each Balena® Megaptera surfboard is a unique piece, combining Egg and Fish stability with details inspired by the morphology of whales, thus providing design elements with a functional value. The board is maneuverable with every wave, it has small dimensions but it is easy at the take off. The fishtail is shaped like a whale tail, the swingers and channels, inspired by the cetacean caudal fin, grant handling in the turns and the nose allows stability and handling during the surfing session.